Bails are Nice, But Enhancers are Spice! There’s a good chance you already know what a bail is. It’s that little loop thingie at the top of pendants and charms that your chain slides through. Enhancers are similar. They also go on the top of pendants. But there’s a big spicy difference. An enhancer is a type of bail that hinges open in the back. 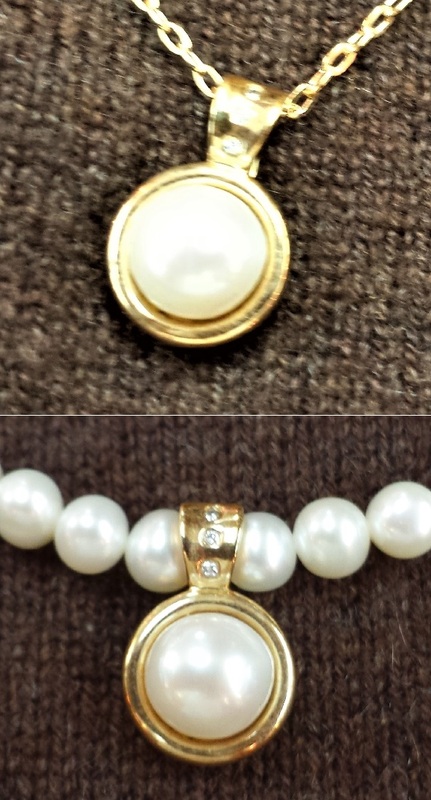 This means you can open it up and clip your pendant right onto the middle of your large gold, pearl or beaded necklace. And spice it up! As a jewelry designer who also re-purposes jewelry I have to say, enhancers are one of my favorite inventions. Oftentimes, bails are too small for thick chains and large beaded necklaces to pass through. Similarly, large clasps frequently won’t fit through standard bails. 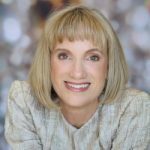 What’s the Difference Between Bails and Enhancer Bails? Bails are closed and can only take a chain whose clasp end will fit through it. What I mean by that is if you have a 4mm rope chain and you get a pendant with a 5mm opening of its bail, your chain probably will not fit through it. That is because the end ring that the clasp clicks through to shut is often larger than the thickness of your chain. 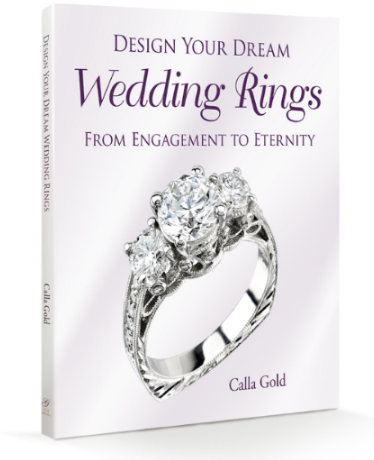 An enhancer with its marvelous hinge allows for a bumpity and sticking out end ring. Just hinge it open, get it past the too large part and click it shut. An enhancer’s real gift though is how it clicks on between your pearls, your lapis beads, or other largish necklaces. 2. It can change ordinary pearls into a fabulous and finished looking statement necklace by adding a pendant. 3. It’ll create pop and focus and elevate the look of your pearls or beads. 4. 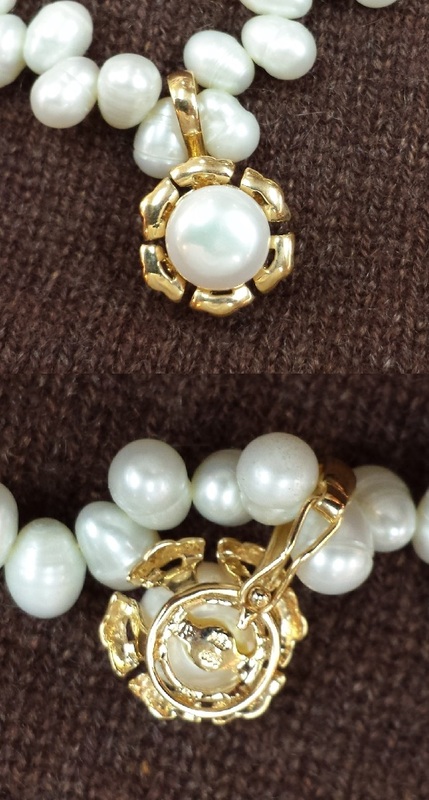 An enhancer-bailed pendant can take your pearls or beads from daytime conservative to dressy night out. 5. 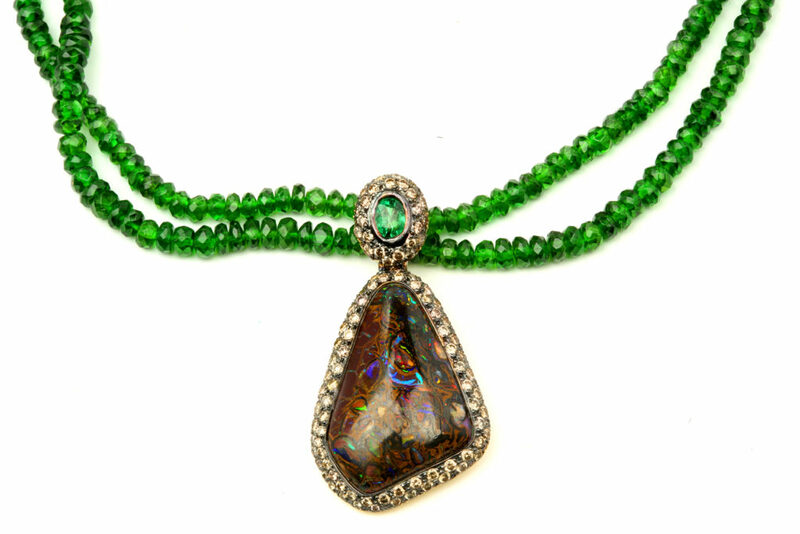 It can take a pendant that is not being worn and turn it into a spicy favorite. Sometimes your chains just don’t do your pendant justice, yets once on beads that pendant sings. 7. 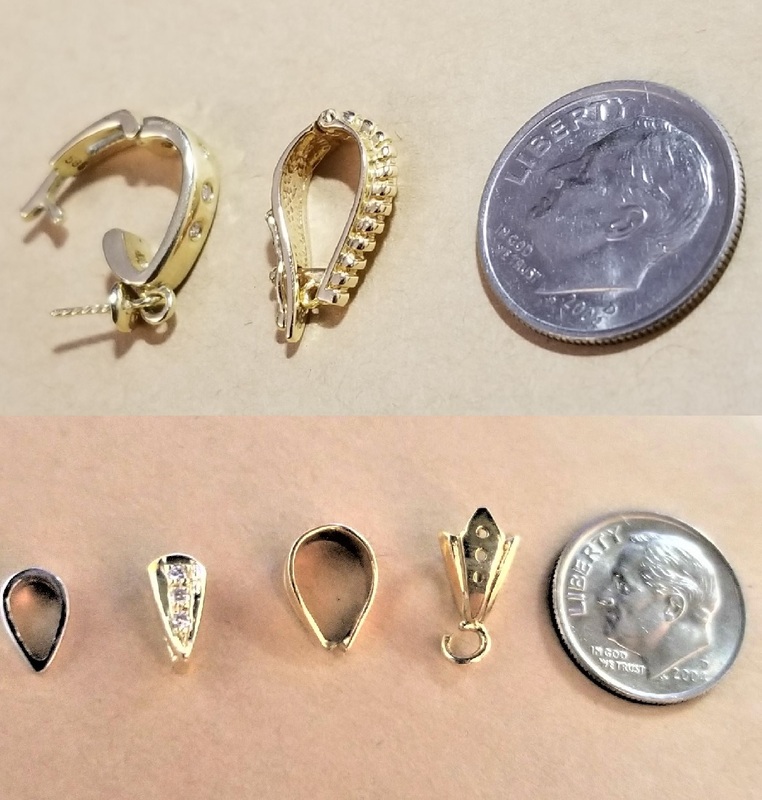 When converting an under-worn pin into a pendant, use the enhancing bail to give it greater versatility and chances to be worn. More often than not, the pearls on a pearl necklace won’t fit through regular-sized bails. With an enhancer, however, you’re able to clip your pendants right onto the middle of your necklace. The enhancer slips right between the center-most two pearls. This goes for necklaces with gemstone beads, as well. The picture above shows a figure eight wire style back safety for the enhancer. Other styles like the two pictured higher on the page, showing the difference between enhancers and bails, show examples of enhancers with a solid backs. The ones with solid backs are safer. Solid backed ones with an additional safety clasp are the safest of all. Happily you can get your versatility and spice up your jewelry wardrobe with an enhancer with a choice of sizes. Who Needs These Specialty Bails? 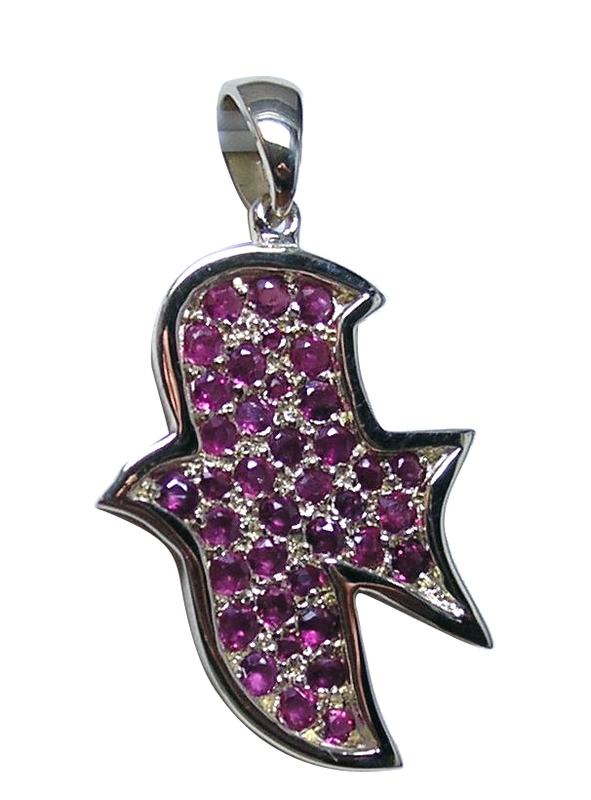 Enhancers are a good choice for the type of person who likes to wear their pendants on different sized chains and necklaces. With one of these babies you won’t be limited to only thin chains. Are you ready for spicier choices in how you wear your pendants? Calla, thank you so much for sharing such an interesting piece of knowledge. I had no idea such that those hinging enhancers existed! This is great. I will definitely look for an enhancer next time I consider buying a pendant with a bail. They are so versatile! 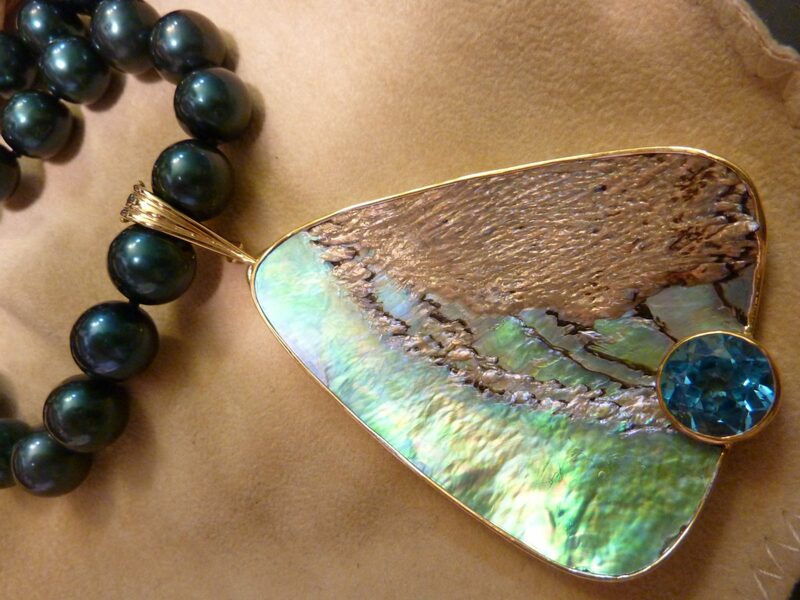 how much is the Bold Abalone Pendant please? I have a pendant with a very small bail already attached and it won’t fit on my chain. If I try to use an enhancer, the pendant hangs sideways. Is there anything you can recommend? 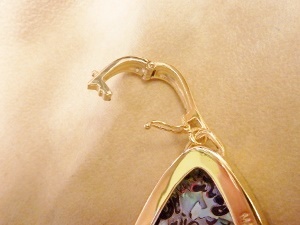 I need something small, about 5mm to fit around the chain, that would work similar to the old fashioned charm holders. Perhaps an enhancer with a jump ring? I’m no jeweler but everything I’ve seen needs some tweaking in order to work.